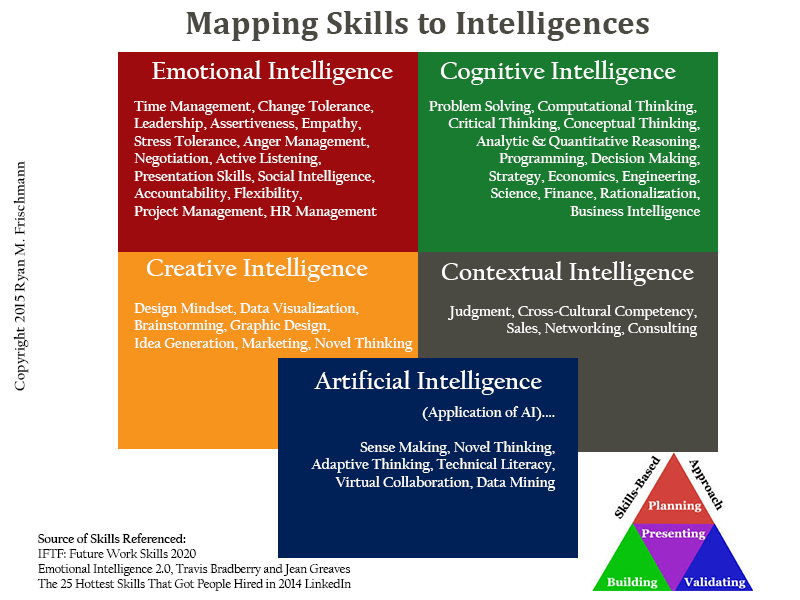 Generally speaking, you can map skills to various intelligences: cognitive, emotional, creative and contextual (and in the diagram below I also include skills related to using artificial intelligence). 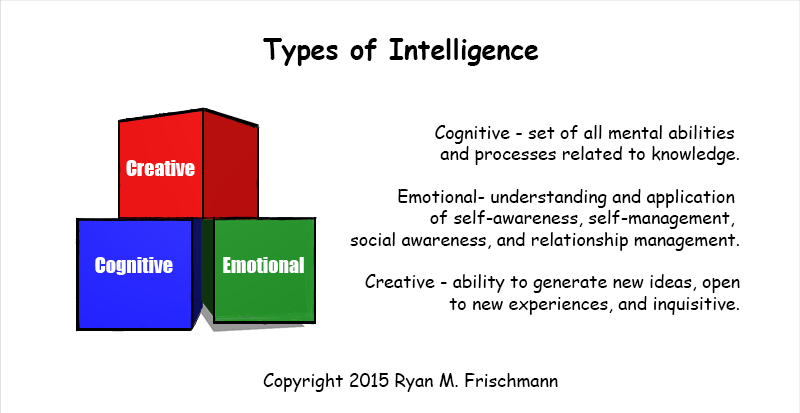 I say generally because there is some overlap where skills require multiple intelligences. Understanding intelligent competencies and then mapping them to skills is useful for the planning and building stages of a Skill-Based Approach. The results of an IQ test determines powerhouse skills – something you concentrate on building throughout your career. The results of an EQ test might indicate what ‘soft skills’ you must work on to be successful. If you have a high EQ, find ways to apply your emotional intelligence – perhaps in leadership or human resources. If you are creative, build skills that draw on your talents. Understanding intelligences also helps you understand how you might learn best, so you can create a personalized plan to build your desired skills. In A Skills-Based Approach to Developing a Career, I discuss how to translate the results of a personality, interests, and strengths test into a career development plan based on building and validating a skill set; here, I suggest how to use the results of intelligence tests. There is value in translating your career development into skill sets; it defines your career plan in a universal language everyone understands. Educators and employers know skills, so talking in skills effectively bridges your education and employment experiences. Skill sets are also being used in most of the social media profiles, job board profiles, and personal websites. Finally, most professionals must commit to lifelong learning and validate their skills in some way. I suggest adopting the Skills-Based Approach methodology. It is a progression in four stages: planning, building, presenting, and validating. Each stage has proposed ways to achieve its objectives. The beauty of a skills-based approach is its simplicity and flexibility. I loosely use three intelligences – analytical (which I call cognitive), creative, and contextual – from Sternberg’s Triarchic Theory of Intelligence. 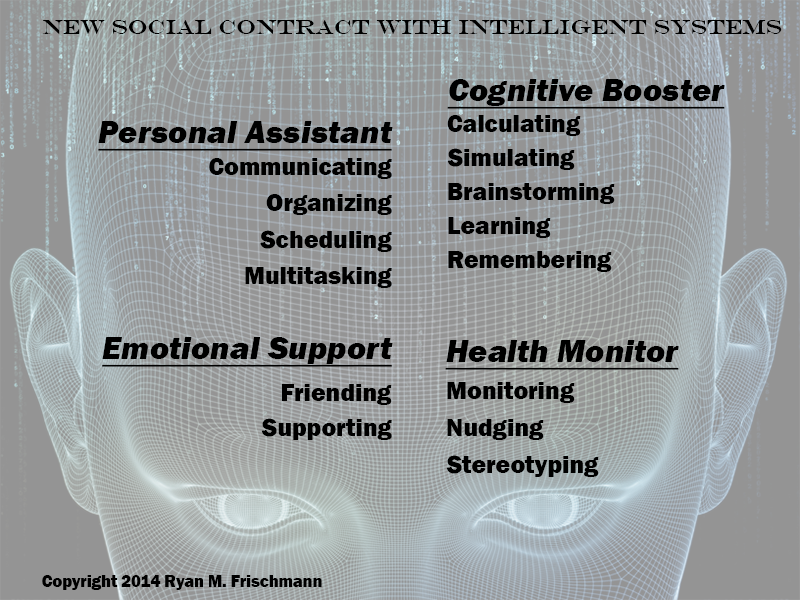 I added artificial and emotional intelligence because both are receiving considerable attention nowadays and I think are distinguishable from the others. [i] Ryan Frischmann. A Skills-Based Approach to Developing a Career. (Trafford, 2013).